Kahootz, a UK based cloud collaboration service provider, is pleased to announce the signing this month of two G-Cloud contracts, one with the Department of Health & Social Care (DHSC) and the other with NHS England (NHSE). Both agreements allow these organisations, and all their Arm’s-length Bodies (ALBs), to call-off Kahootz Enterprise user licenses using preferential discounted partnership terms. Following a review of their requirements and competing services available via the UK Government’s Digital Marketplace, DHSC has decided to re-sign with Kahootz for a third G-Cloud contract term. Under their previous agreements, Kahootz collaboration sites have been deployed by the NHS Business Services Authority, NHS Digital, NHS Improvement, Public Health England, the Health Research Authority and NHS England. With assistance from these organisations, over 42,000 users across the UK health sector are already in Kahootz with each other, and this number is likely to double this year. 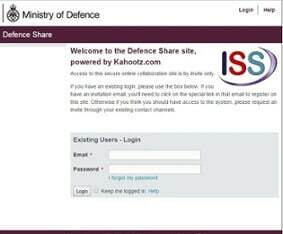 “When we initially short-listed, and subsequently contracted, Kahootz in 2014 we specifically requested an option for all of our ALBs to benefit from shared terms.” said Bob Armstrong, DHSC’s Head of Technology Services. The new NHS England contract builds on the successful roll-out of Kahootz to support team-working, across geographies and organisations, on all of the Prime Minister’s Challenge Fund and NHS Vanguard projects. With an increasing number of requests from other NHSE project areas, an independent audit by Agile Elephant of the futureNHS collaboration platform (powered by Kahootz) was commissioned last year which calculated a first-year net operating benefit of £1.5m, rising to £8.9m in Year 2. The evaluation report provided a strong evidence base for the need for a collaboration platform in health and social care. “The futureNHS platform is a secure, cloud-based collaboration platform that was initially intended to support the NHS new care models programme but is being used for much more and further programmes now,” stated Agile Elephant founder and CXO David Terrar. “It gives them a single platform that spans boundaries and siloes in NHS, local government and third sector organisations, bringing people together to help deliver integrated care.